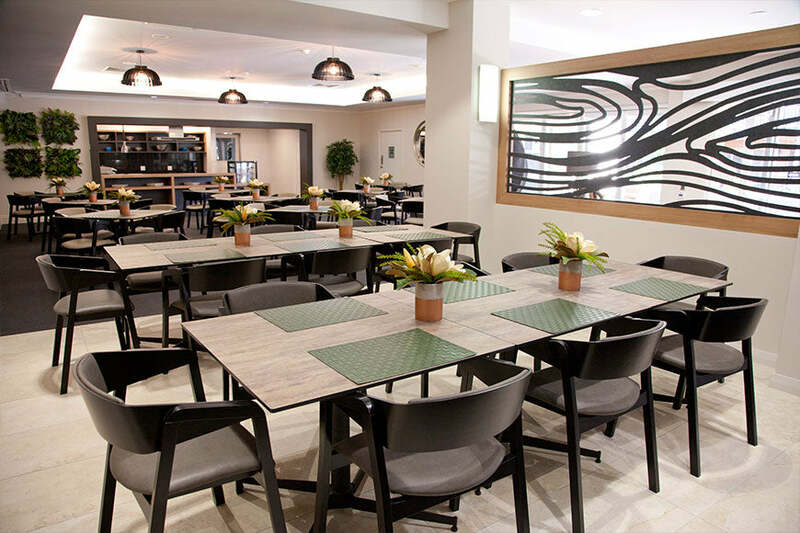 Furniture Options recently assisted Western Australia’s largest not for profit aged care and retirement village provider Bethanie, with a new restaurant and waiting area for Bethanie on the Park. Working alongside Bethanie’s interior designer Louise Edwards the Cava Tub Chairs from Polish manufacture SED-JA are teamed with the award winning Parkway NOROCK Table Bases and compact laminate tops in the restaurant. With custom upholstered Crest Armchairs used throughout the reception and waiting areas. It was a pleasure working with Bethanie and Louise to provide fit for purpose products while creating a beautiful space for the residents to enjoy.